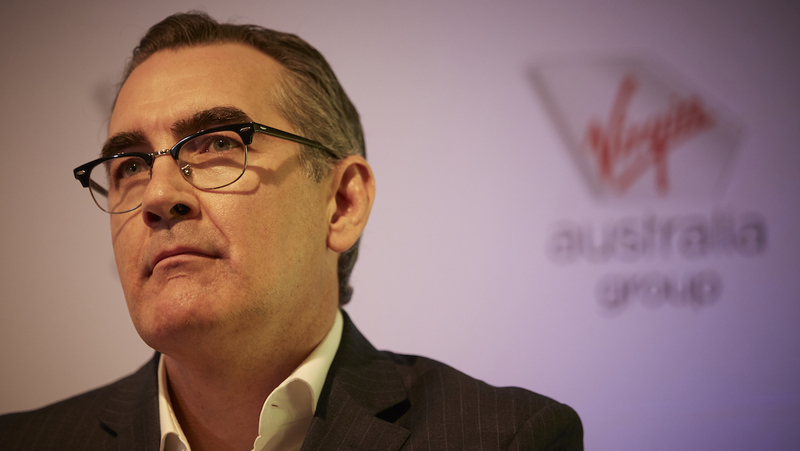 Scurrah says Virgin Australia CEO job "big shoes to fill"
Incoming Virgin Australia chief executive Paul Scurrah says he is both incredibly honoured and a bit daunted at the prospect of leading the nation’s second largest airline group. 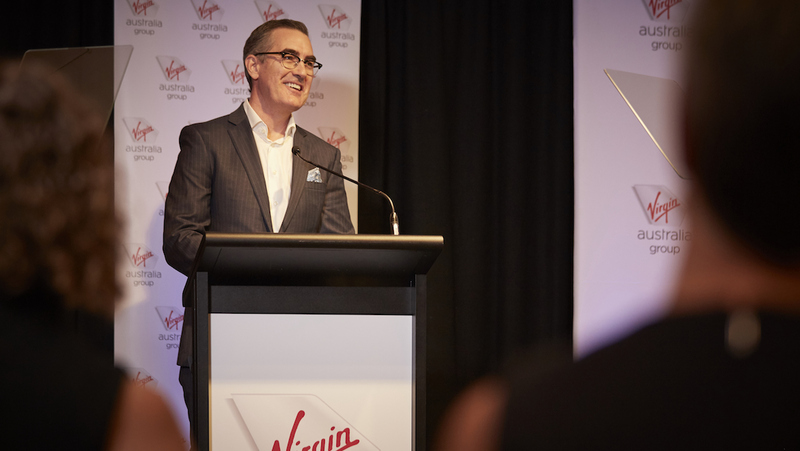 Scurrah will officially take over from John Borghetti as Virgin Australia chief executive on March 25 2019, Virgin Australia announced on Wednesday. Until then, the former boss of ports company DP World Australia said he planned on spending the next few weeks travelling around the airline getting to know staff across the business. Scurrah, an Australian, said he was coming into the role with “some ideas” about what he would like to do. However, he was was reluctant to offer any details on what those ideas were before formally starting as Virgin Australia chief executive. 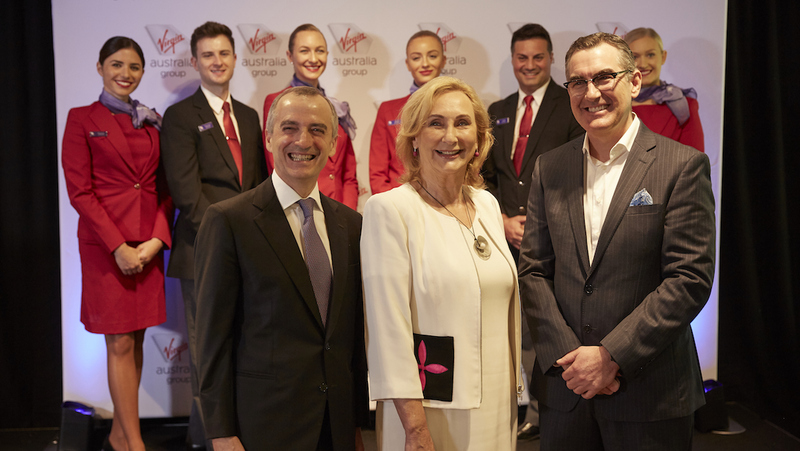 “I will be sharing more of my plans of course for the future of the Virgin Australia group after I begin in the role on the 25th of March and after I have had time to work with many of the wonderful team members to really understand what we need to do to take the business forward,” Scurrah told reporters in Sydney on Wednesday. “What I really intend to do early days is get around spend as much time as I can with the team and blend those ideas with the feedback that I get from inside the business before then plotting the path forward. In general terms, Scurrah said he was focused on ensuring the culture at the company was one where staff were able to thrive and achieve great things, as well as ensuring the airline group was meeting the needs of customers. “An importantly, I will be focused on the bottom line for our shareholders,” Scurrah said. Further, he said market share was an important measure but not the only measure. Scurrah was chief executive at ports operator DP World Australia until late 2018, when his five-year contract ended. He was also previously chief executive at Queensland Rail. In addition to executive general manager roles at Aurizon, Flight Centre and Tourism Queensland, Scurrah also has aviation experience, having previously worked at Australian Airlines, Ansett and Qantas. He was also one of the founding directors of Regional Express (Rex). Scurrah noted there were many close parallels between aviation and his previous experience in those logistics-based port and rail businesses, given both industries were operationally intensive, highly competitive and required a lot of capital. “I’ve been transporting people and cargo for a very long time, 28 years in fact,” Scurrah said. 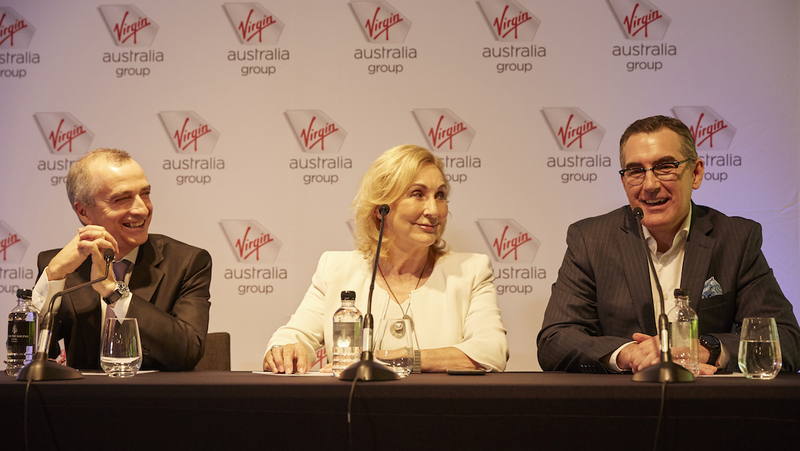 Virgin Australia chairman Elizabeth Bryan said the extensive global search for Borghetti’s replacement attracted considerable interest. 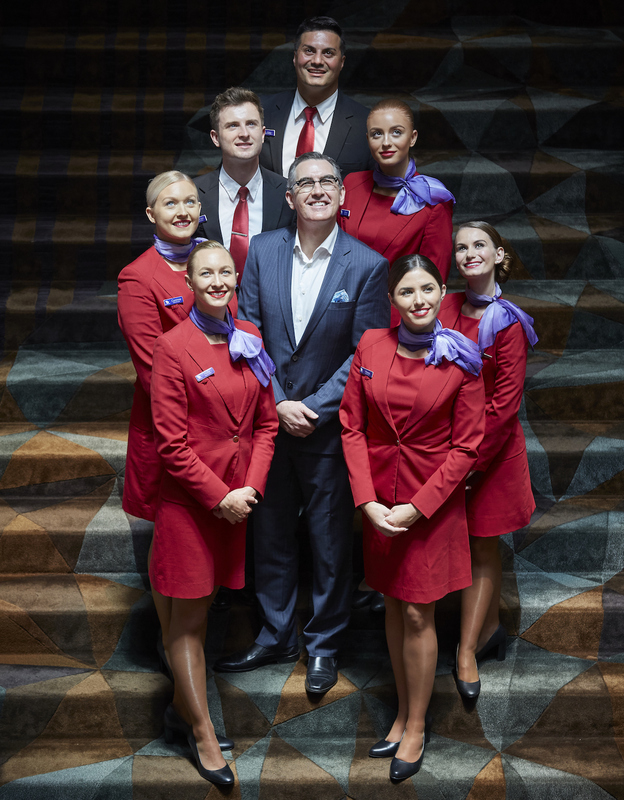 Scurrah will be Virgin Australia’s third chief executive since the airline began flying in 2000, following Brett Godfrey (2000-2010) and Borghetti (2010-2019). “They are very big shoes to fill,” Scurrah said. Borghetti, who announced in August 2018 his intention to step down before his contract ended on January 1 2010, was alongside Bryan and Scurrah at Wednesday’s media conference in Sydney. He paid tribute to the airline’s staff for realising the vision of transforming the low-cost carrier (LCC) Virgin Blue into a diversified airline group that has a presence in all segments of the market. 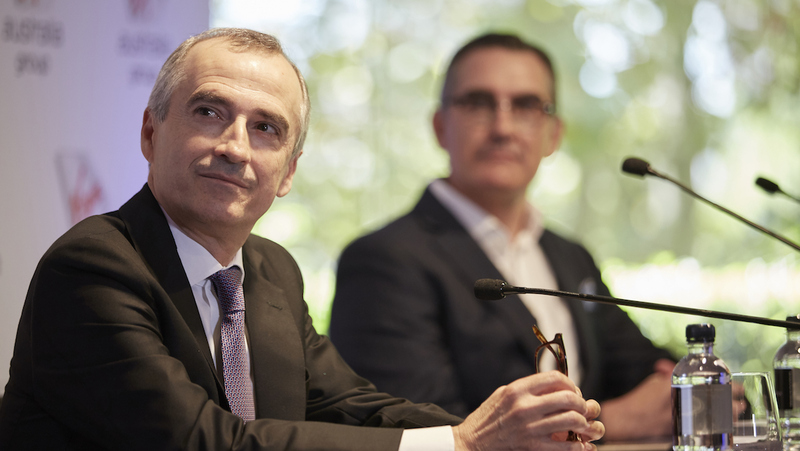 “I know that I am leaving this company at a time when it is absolutely consolidating on its transformation and is on a sustainable pathway to profit, growth and importantly return for our shareholders,” Borghetti said. “Over the past eight years I have been really lucky to work alongside some of the best, smartest, nicest, the hardest working people in the industry. Asked about his future plans, Borghetti said his immediate task was to support Scurrah during this transition period before his successor formally takes over on March 25. Beyond that, the veteran aviation executive only had thoughts for a family trip to Disneyland with his granddaughter. “That’s the first priority and we will take it from there,” Borghetti said. at least he’s ex Flight Centre !!! Some airlines don’t give enough credit to agents. Hopefully he’ll embrace all agents. Have heard that some travel agents won’t even consider selling Virgin at least internationally(or even mention them), as a few agents have special deals, which no one else can come near. He could have worn a tie! Not really, Borghetti never achieved his aim to beat Qantas at their game. He failed to completely transform VA from a LCC to a full-service carrier, and now its some half-Frankenstein of an airline where its fares are full-service, its service is LCC (the business is good, i’ll give him that), its international network is poor, and its neither independent nor in an alliance. Scurrah should fill those shoes fairly easily i would expect. @Dave I’d say “joining an Alliance” would be well down on the new CEO’s priorities when he takes over in March. Also the CEO are beholden to VA’s complicated shareholder structure (SQ, Etihad, HNA group, Virgin Group, etc). As for Alliances, SkyTeam is pretty much Virgin Australia’s only option after burning bridges with NZ, and by extension VA’s has a long time BFF relationship with DL for USA/North America flights for the past decade.